Turns out, there’s more to life than bingeing all the Netflix, Stan, Amazon Prime Video and Foxtel Now content ever. While your bingeing antics can well and truly continue, we thought we’d flag a couple of awesome newcomers on the horizon that are breaking leaps and bounds for streaming services because you know, the bingeing never stops. For the horror-fanatics, there’s a brand new service packed with the all the horror (as well as sci-fi and Avante-Garde cinema), Snap Originals has proved its scripted short-form TV shows are actually a force to be reckoned with and anyone who’s a die-hard true-crime fan (no pun intended) will be pleased to know there’s a glorious new podcast streaming app loaded with the good stuff. 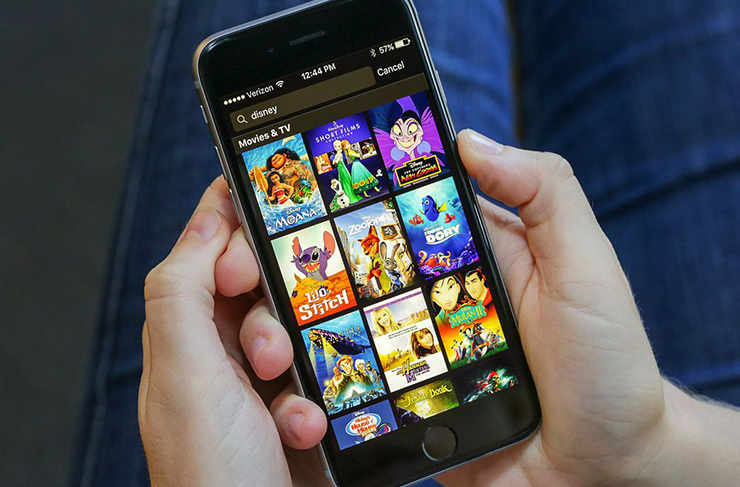 Here are all the best new streaming services to get around. Alongside Facebook Watch, Youtube Premium and IGTV, Snapchat has also jumped on the smartphone streaming shenanigans with its own sling of scripted shows. Meet Snap Originals. 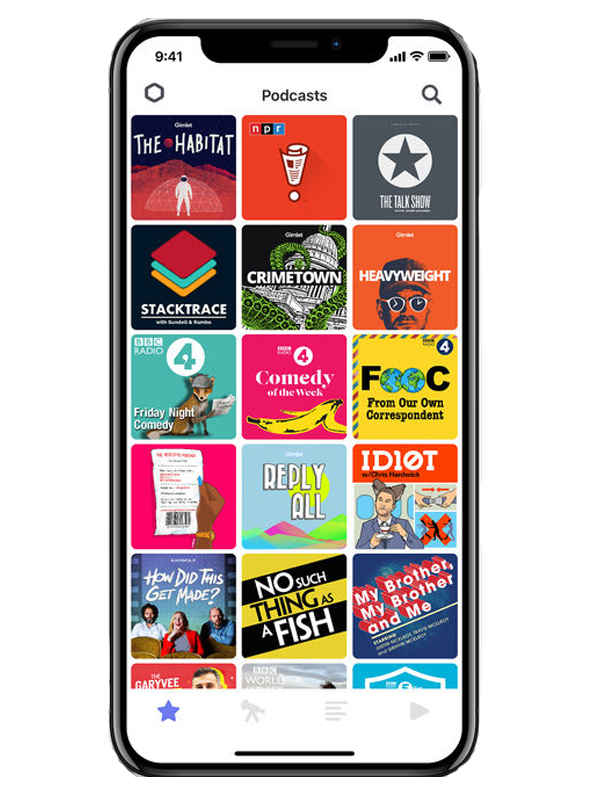 The short-form mobile TV shows set in vertical format with split screens and quick cuts for ultimate smartphone viewing (episodes hang around the five-minute mark because you know, time is of the essence). And what to expect in terms of actual content? Well, upcoming Snap Originals have been produced by the Duplass Brothers (from the Netflix doco Wild Wild Country), Mark Boal (Zero Dark Thirty and The Hurt Locker) and include writers from shows like Riverdale so there’s no doubt about the binge-worthiness of these gems. Find out more right here. This one’s for the horror movie fans. Shudder is an American screaming streaming service, owned by AMC Networks, that came out in 2015 and has since worked its way over to Canada, the UK, Ireland, Germany and Austria. The main genres are horror, sci-fi, suspense, thriller and Avante-Garde cinema, with some added fruity sub-genres like demonic possessions, smart vampire movies (??) and lost classics (just to keep things interesting). You can find out more about it right here. Meet the beautiful new podcast streaming app all about true-crime. The whole point of Cosmicast is simplicity: it’s easy to search, filter, save libraries and switch up your theme. This slick little player is available on iOS and it’ll only cost you a couple of bucks which in the end, is absolutely worth the hundreds of hours you’ll be kicking it back and tuning in. Download it here. Sundance Now, another service by AMC Networks that launched in 2010. If the name Sundance rings a bell, it’s because the service is based off the US Sundance Film Festival, which celebrates all things weird and wonderful in the world of indie docos, features and short films. Like the festival, Sundance Now will offer viewers a curated collection of award-winning independent movies and docos, as well as foreign films, binge-worthy TV series and the usual genre roundups (don’t worry, there’s plenty of rom-coms). You can find out more about this one right here. Yep, Disney is set to launch its very own streaming service in 2019...and from what we can tell, it’ll be cheaper than Netflix. Until now, most of the details have been super hush hush. But an interview with Disney chairman-CEO Bob Iger in Variety spilt a couple of cartoon beans. Including a name: Disney Play. Obviously what you’ll find on Disney Play is Disney stuff, which means you won’t get the infinite scroll-fest of Netflix. They’re gonna have a bunch of Marvel titles, the new Star Wars movies (including a brand new live-action Star Wars series, directed by John Favreau), everything Pixar and all your favourite childhood cartoons. Check out all the details on this one right here. Still keen for a solid binge? Here’s everything worth bingeing right now.